EVERYTHING IS AWESOME! Well, at least in the LEGO world! 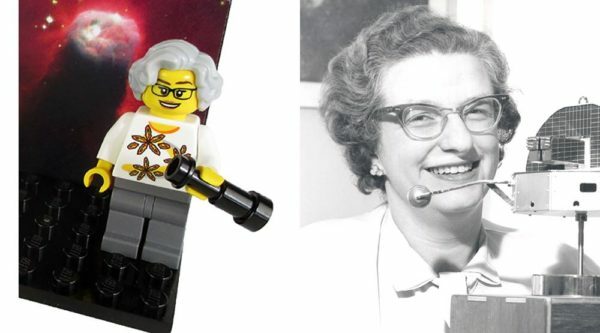 After submitting a proposal for a rad new collection through the LEGO Ideas website in Jul6 2016, MIT News deputy editor Maia Weinstock’s ‘Women of NASA’ figures will officially be released this year. We have no doubt that the enormous success of the ‘Hidden Figures’ film, which became a no. 1 box office hit two weeks in a row while ‘Rogue One: A Star Wars Story’ was also running at the same time, and in fact which made MORE money than the Star Wars film, added to the toy company’s decision in jumping on Maia’s creation. 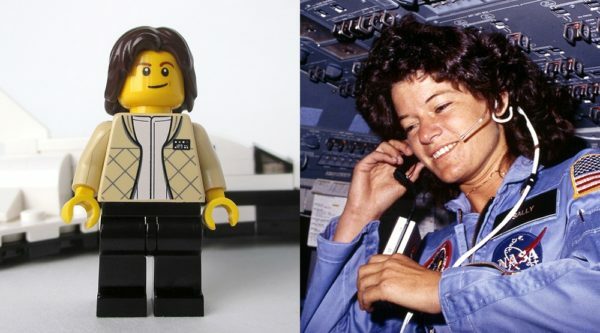 Of course, we can’t confirm this, but since one of Maia’s Women of NASA figurines being the main character in the film (which was released after she started campaigning for her set), it’s hard not to draw comparisons. In her original proposal, Maia outlines why she felt it was an important time to create a LEGO collection of this kind. “Women have played critical roles throughout the history of the U.S. space program, a.k.a. NASA or the National Aeronautics and Space Administration. Yet in many cases, their contributions are unknown or under-appreciated — especially as women have historically struggled to gain acceptance in the fields of science, technology, engineering, and mathematics (STEM),” she wrote. 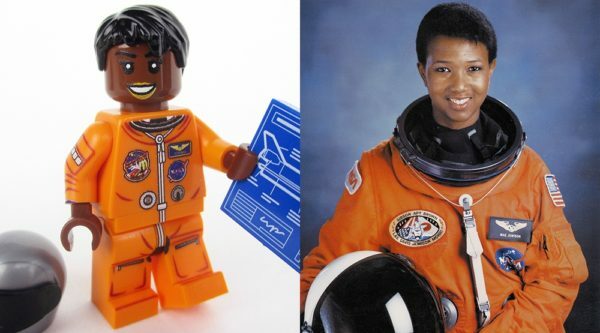 The women include Astronaut and medical doctor Mae Jemison, the first black woman in space, Nancy Grace Roman who was one of the first female executives at NASA and who developed NASA’s astronomy research program, Astronaut Sally Ride who was the first American woman in space, computer scientist Margaret Hamilton who wrote the code for the on-board software for the Apollo missions (who also was awarded a President Medal of Freedom by Barack Obama in 2016), and Katherine Johnson, a pioneer mathematician and scientist who calculated and verifying trajectories for the Mercury and Apollo programs — including the Apollo 11 mission that first landed humans on the moon. Katherine was also a Presidential Medal of Freedom recipient, in 2015. Imagine that: a pioneer black women working at NASA years later receives a high civilian honor from the country’s first black president. Two important historical figures! Because her idea managed to garner 10,000 supporters, LEGO reviewed and considered turning her collection into one of their products. Her idea was met with great enthusiasm by supporters online, but of course it was met with some of the usual (and unfounded) misogyny simply because she focused on women exclusively. Maia shared one particular encounter via social media, which proved exactly why we need to continue having conversations about gender equality, and exposing society to more of the hidden accomplishments of women in the world. 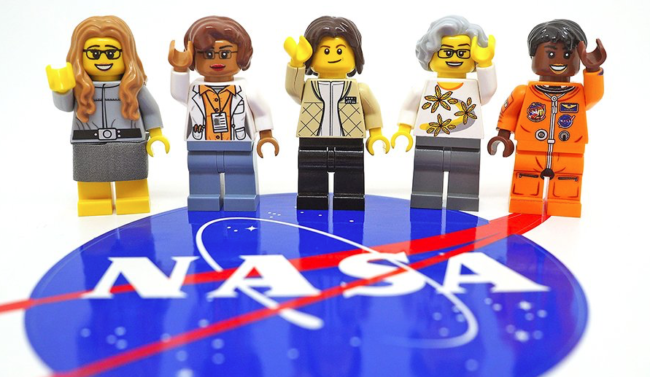 LEGO released a statement after confirming they will manufacture the Women of NASA collection, reiterating the importance of celebrating the work of women. “Maia Weinstock’s Women of NASA project was a way for her to celebrate accomplished women in the STEM professions. 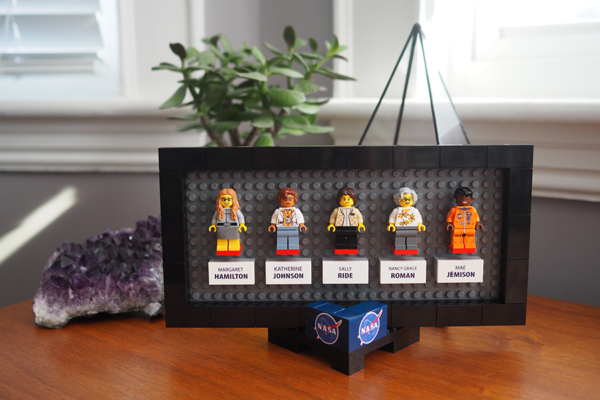 In particular, those who’ve made a big impact through their work at NASA,” said Lego Ideas spokeswoman Lise Dydensborg in a video. 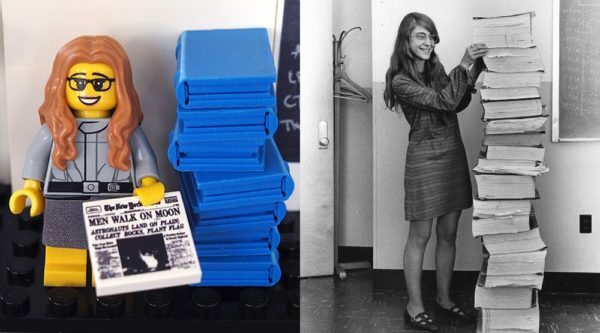 Maia is also the woman behind the Legal Justice Team LEGO set proposal, which unfortunately didn’t get enough supporters to become an official collection, as well as The Bioneers set, celebrating women in biological engineering (also unsuccessful). The toy company have also released their own internal collections offering female STEM role models to younger generations. In 2014, a young girl named Charlotte Benjamin wrote a letter to LEGO chastising them for not including more female figures in their collections, and it went viral. In response, LEGO released an all-female Research Institute set which will no doubt be a powerful visual learning tool for young girls who get to grow up seeing women in STEM careers from an early age. And organizations dedicated to increased the number of girls in STEM are taking notice of these collections. 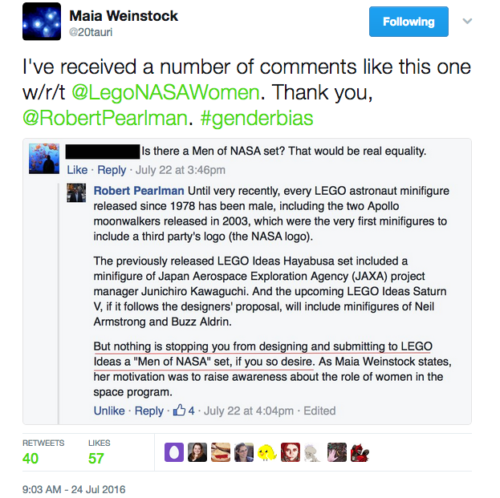 Reshma Saujani, creator of Girls Who Code which is one of the nation’s largest org.’s offering coding workshops and camps to young girls, praised LEGO’s decision to green-light Maia’s NASA collection. 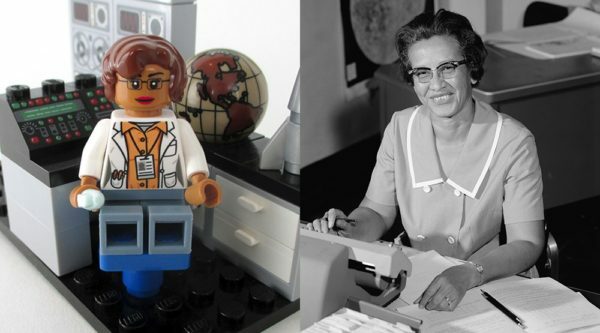 “I applaud Lego for their hidden figures. I think efforts, like by Lego, that are trying to change this and to show a different cultural aspect for young girls is really important. Toys play a pivotal role, especially early on in what girls think they can be,. You can’t be what you cannot see, and if you’re not comfortable tinkering and taking things apart and building things, you’re not going to go into those careers.” she told PBS News. LEGO says the final design, pricing and release dates are yet to to be determined, so stay tuned for when they become available. You can also follow Maia Weinstock on Twitter as she continually shares news about the collection. To see which other ideas LEGO have begun work on, take a look at the 2016 Review Results page. And if you are reading this wondering how you can get your big idea before the LEGO community (or you are of the mindset similar to the Facebook user above who is worried about the “lack” of all-male collections), good news! You can submit a proposal to the LEGO Ideas website to see if you can get the support you need to make it happen.